Ask Mario Lamont McCartney how he would describe himself and he would refer you to the nearest search engine to look up the definition of his given Christian and Middle names, which literally means ‘Warring Man of Law’ in a number of languages. Notwithstanding the seemingly , Mr. McCartney never thought about the meaning of his name while growing up in the Bahamas, but sparks of legal genius showed itself in his early years, being a natural grade A student in the English and Social Studies classes and often read his text books for enjoyment rather than for the purposes of studying for exams. His education eventually took him back to his birthplace in Canada where he became a political science major and football player, before heading to the United Kingdom to read law. After thousands of travel miles, numerous hours of all night study sessions, and one year of giving up television while in bar school, Mr. McCartney returned to the Bahamas, where he would eventually establish Lex Justis Chambers while starting his new life as a husband and father. There is nothing more difficult than starting an enterprise from scratch while raising a young family, but for Mario, ‘difficult’ is nothing more than just a word. He fondly recollects memories of undefeated high school and university football seasons as a student athlete, recalling performances before the roars of the crowd, but never forgetting the physical endurance and training involved in preparing for games. Even while on vacation from law school Mario volunteered his services at a refugee project in Toronto, Canada, where his preparation work would be used in an immigration matter concerning an asylum application for a Middle Eastern family which received favorable results. 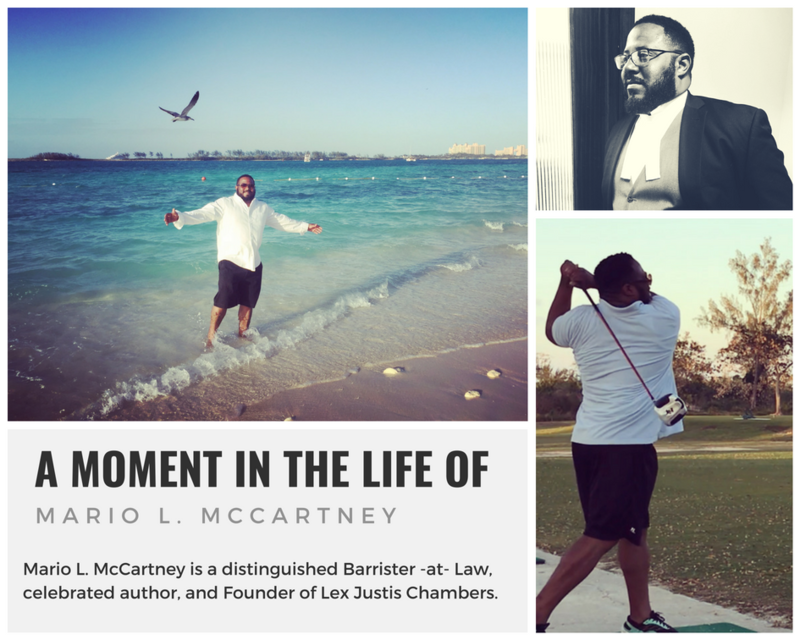 Early in his career he would go against the status quo, having practiced for one of the larger firms, eventually coming to the decision to start Lex Justis in the 2008 year with the pioneering ambition of changing the way the law is practiced in the Bahamas. 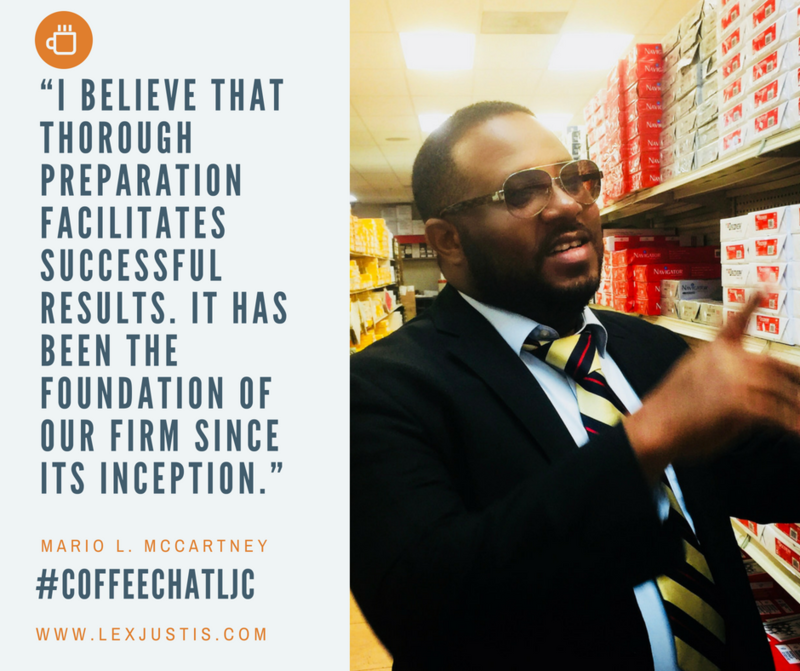 He never forgets that his own family and friends said that it was a bad idea to start his own firm, and dispelled negative undertones with the uncanny determination to demonstrate his ability to practice and to do it exceptionally well. 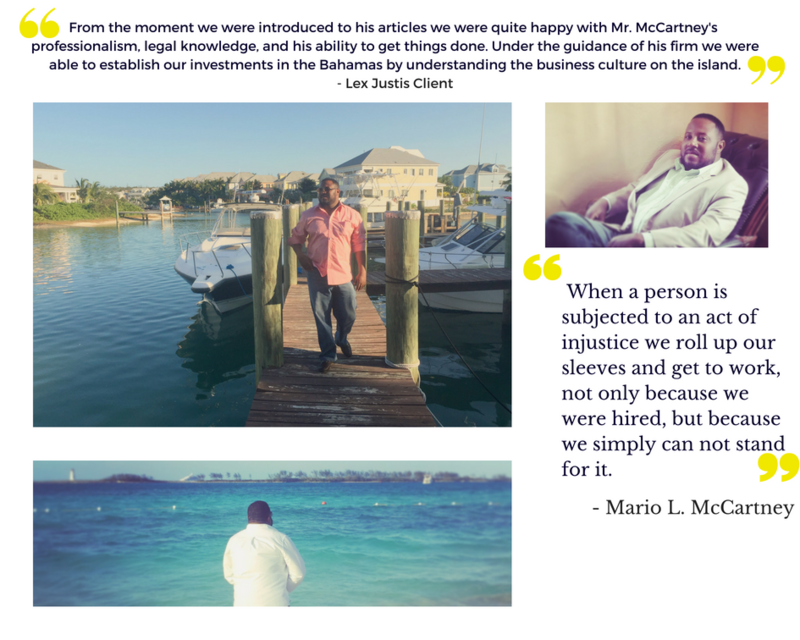 The law would eventually take Mr. McCartney on the road less traveled, from advising board of directors of major corporations to providing legal commentary in internationally covered stories taking place in The Bahamas, all taking place before the age of 30. Overall he is known as a strong willed and versatile attorney on the island, always sporting a pair of aviator sunglasses and colorful attire whenever he conducts his business in the downtown district. Mario is the epitome of the world traveler, finding himself touching the far corners of the world. He has strolled the famous Orchard Road in Singapore, sampled Turkish delight in Istanbul, navigated the white water rapids by kayak in Costa Rica, whizzed around Bermuda island by scooter, and the list goes on and on. 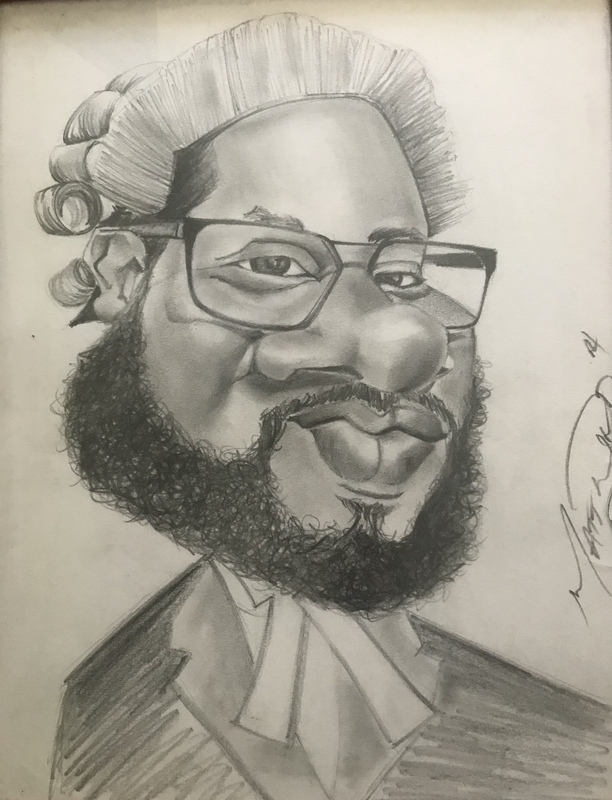 He would engage an international audience in writing articles on various aspects of Bahamian law with the belief that somewhere in the world someone would be reading. Mario would lead general practice with a special emphasis in corporate and commercial law, but that quickly changed when he other family members were subjected to injustices at the hands of public officials, promptly leading to the expansion of his litigation practice involving matters relating to public law and civil rights.  Fast forward some 9 years later, Lex Justis continues to thrive as an established practice in the Bahamas, welcoming clients from around the world through its doors, gaining recognition for its outstanding services provided in the Bahamas. Mario’s personality embodies the very definition of his name, but at home he enjoys the life of being a loving husband to his wife and a father to his son and three daughters. Whether its watching the same Disney movie for the 20th time, evening homework sessions at the dinner table, or enjoying a picnic on the beach, he regards himself as a family man who secretly hopes that all of his children become barristers when they come of age and carry on the family practice. Although leaving behind his football days, Mr. McCartney remains a sports enthusiast who still enjoys weightlifting at the local gym, the watching a televised sports game or practicing his golf swing at the range. On slower days you might find Mario tending to his growing orchid of fruit trees, or the occasional fishing trip during the summer months. Overall a well respected professional, and well on the way of becoming one of the most interesting men in the world.